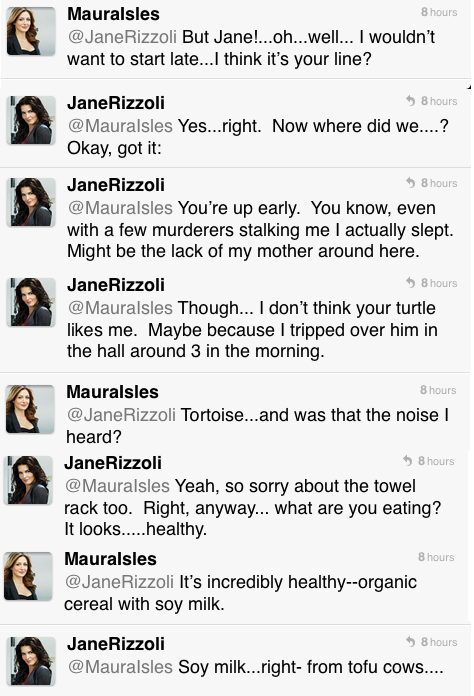 Another Tuesday morning brings us last night’s “deleted 5-minute scene” acted out by @JaneRizzoli and @MauraIsles over Twitter. 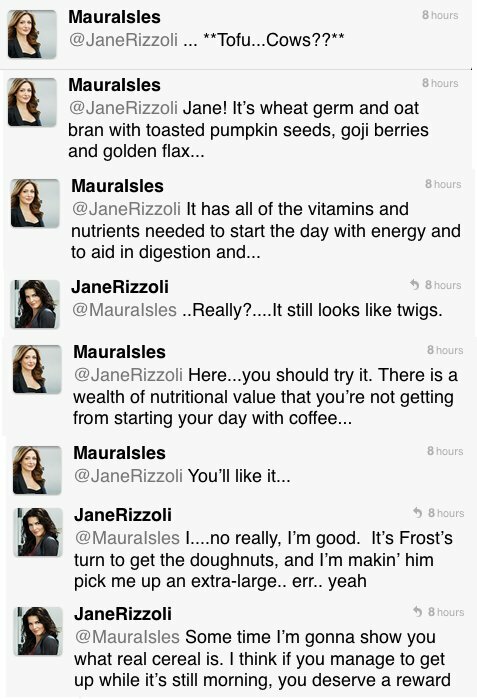 In this deleted scene, Jane and Maura wake up from yet another sleepover and then have breakfast together. 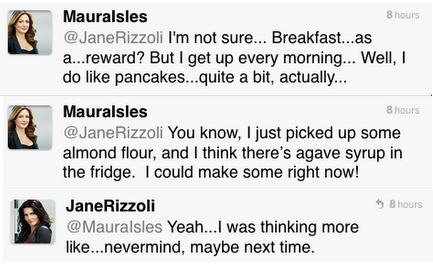 And then they plan what they’ll have for breakfast during future morning-afters. I mean… right?